We all know the practical uses of credit cards. However, it takes great discipline to use them responsibly in order to buy only essential things, obtain rewards and strengthen your credit worthiness. 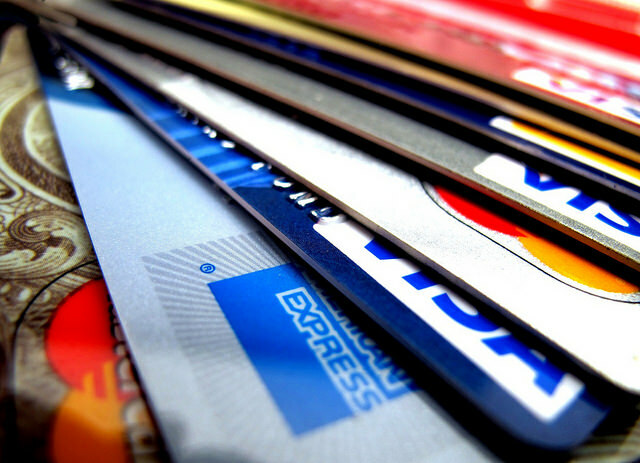 Many of us fall into really bad habits when using credit cards. Many credit cards user get carried away and charge mindlessly in order to gain as many rewards points as possible. The key principle is responsible charging; as long as you do, a credit card can be your best friend. That is, charge only what you can truly afford to pay, monitor your credit use ratio and pays your debts promptly. People often become complacent and forget how much debt they are raking up within a month. What steps to take: Create your personal budget and follow strictly. With a budget, you have a clear basis upon which you will make your purchases; so that when the monthly statement comes, you can fully pay the required amount. To give an example, if your allotted budget for your regular weekend trips has been spent, have a picnic in your backyard instead. The rule to observe for credit cards is to pay above the minimum since this prevents accumulating big interest payments in addition to our expenses. However, sometimes we incur a few big expenditures at one time and we cannot pay our dues completely. What steps to take: in case you cannot pay off your card fully after several months, set a definite time in which you will reset your payment schedule back to normal. (You can calculate the time this will take you by using the credit card payoff calculator application.) Aside from that, your main concern is to pay your statement promptly; and pay the least amount required. And while you are paying off excess purchases, avoid piling up what you need to pay by making more new charges. What steps to take: Missing a payment can be remedied by setting up a reminder on your smartphone or by having an automatic payment arrangement. But if your real concern is not having the funds, visit your card company and ask for a payment schedule within which your may pay off the balance. Some credit cards offer rewards for travel, cash returns or others which can be quite attractive for many people. This is particularly applicable for cards with annual fees. In general, if you do not use your points or your account is inactive, you may lose your rewards points. Learn what the fine print says about your card or you may miss out on big rewards. What steps to take: As suggested, become familiar with the limitations of your card and then strictly observe the necessary requirements on rewards. Perhaps you could utilize your cash return to cover your Christmas shopping needs or take care of travel costs during your vacation. Some people may consider themselves responsible credit card user, not realizing that even if they pay their statement promptly and fully most of the time that they are not aware of some problems. It is crucial to review your credit profile and regularly. What steps to take: Always review your credit statements every year at least. Get free report copies from the three primary major credit offices — TransUnion, Equifax and Experian — every year at this site: AnnualCreditReport.com. Check out any errors that might be affecting your scores and submit any problems. (We can help you do it here.) You may likewise find a photo of your credit reports at Credit.com. Aside from two free credit scores, which are regularly updated every two weeks, you are also provided an evaluation of things you can do to improve your scores or how to remain on course. I find that the end of the year is always a good time to examine my investment portfolio and determine whether any changes need to be made. If some investments have performed well and distorted my asset allocation, it may be time to take some profits off the table and rebalance the portfolio. Similarly, if there are attractively valued sectors, stocks or countries that I am neglecting, I can look at adding exposure. With that in mind, here’s a brief look at where I’ll be investing in 2018.
Dividend stocks currently make up around 75% of my portfolio. That’s something I won’t be changing in 2018. Dividend investing, while not the world’s most exciting investment strategy is one that works for me. One of my main investment goals is to build up a large dividend portfolio that pays me a sizeable income stream. I still have a long way to go; however, I’m hoping one day that dividend stream will be enough to live off. Bob Ravnaas raised a paddle in a Houston auction house to secure his first block of mineral rights 19 years ago, when oil prices were swooning below $20 a barrel. A generation later, that same West Texas oilfield is still spinning off royalties, part of a mineral-rights empire amassed by Ravnaas that stretches across 20 states and delivers millions of dollars in cash payments. Kimbell Royalty Partners LP, where the former petroleum engineer is now chief executive officer has stakes in 48,000 oil and natural-gas wells in some of the hottest U.S. shale patches. These days, it’s not alone. Welcome to client-focused Private Wealth Management. At Southbourne Group, we assist families and individuals safeguard their richly-deserved assets while striving to attain their financial objectives that keep them challenged. As a Southbourne Group customer, you will connect with a Relationship Manager who will personally come to know you and your objectives. Your Relationship Manager heads a group of experts that supervise each item of your wealth management approach – from implementing your tailor-fitted portfolio and furnishing you with meticulous reporting, to satisfying your queries and addressing your daily requirements.